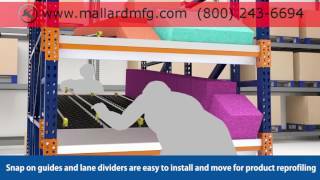 Mallard Manufacturing is an industry leader in gravity flow solutions. 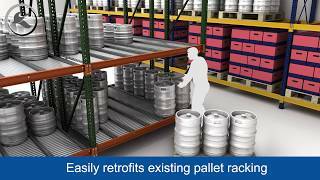 We offer wide-ranging options for pallet flow, carton flow and gravity conveyor as well as unique keg flow and bottle flow products and accessories. We’ve recently completed another expansion of our manufacturing facility to shorten lead times and provide customer solutions faster than ever before. 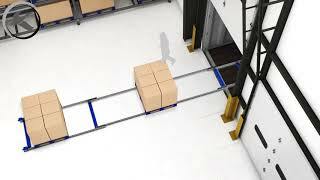 Our products are manufactured to the highest standards for long-term use in busy warehouse environments. Our signature pallet flow line, Magnum wheel, even comes with a Lifetime Abuse Warranty. 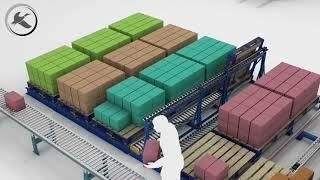 Gravity flow can benefit any operation --from full & split pallet selection to cases, cartons and each picking. 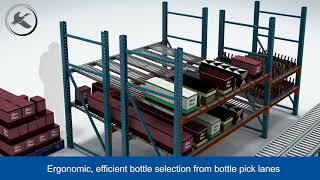 It's an energy-saving, orderly and efficient way to boost your storage and fulfillment operation. The intelligent design of our products and accessories meet your throughput goals while still meeting your budgetary needs. 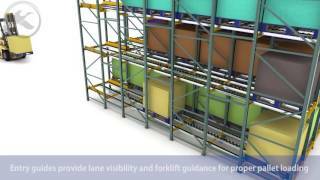 Contact our gravity flow specialists to assist you in choosing just the right warehousing solution.